Photo MCRC-2.1. 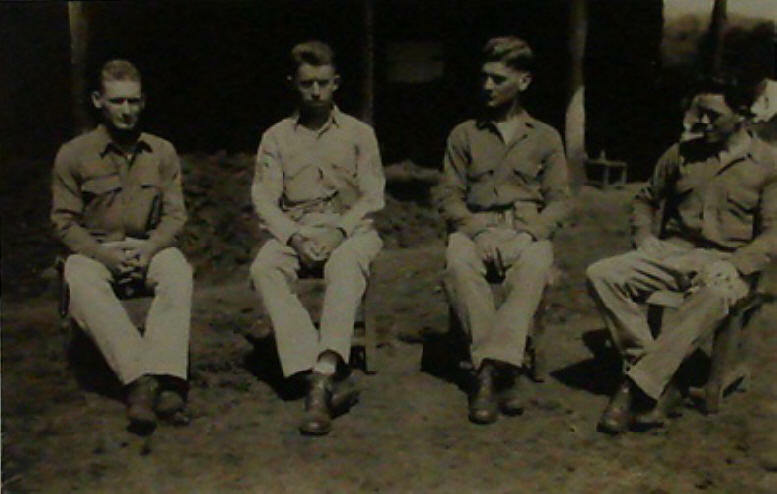 Four Marines seated outdoors. No caption, no date. Rather an odd seating arrangement & image; formal body language & seating arrangement mixed with an extremely informal setting; note the pile of freshly-dug earth behind the men, also seen below. A foundation for a new building? A latrine? Photo MCRC-2.2. Two Marines and one native seated outdoors. No caption, no date. Same chairs & place & day as the previous photo; here too all three evince serious countenances and exude formality of presentation in a very informal setting, though in this image the bare feet of the native contrast sharply with the well-shod feet of his companions. 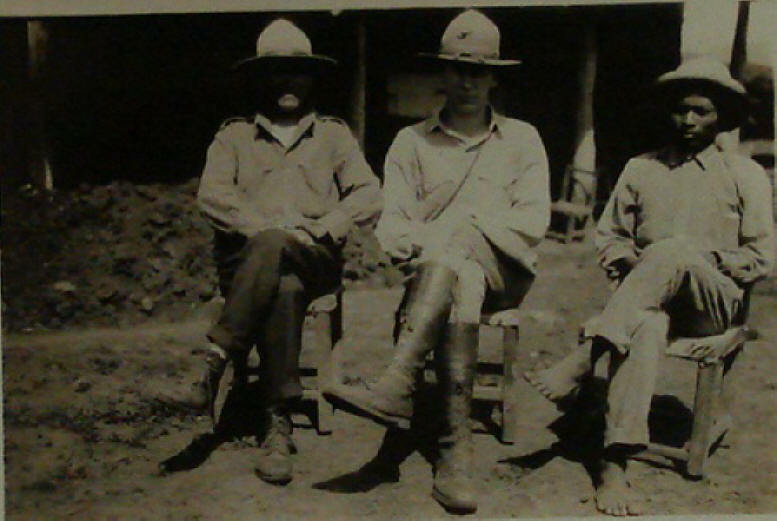 These two photos together show seven North Americans and one Nicaraguan. Wonder who he was? Photo MCRC-2.3. 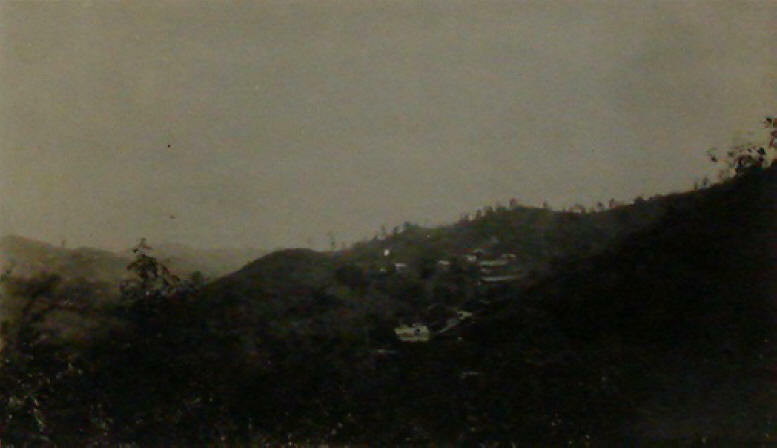 Election Day, San Lucas near Somoto, 4 November 1928. 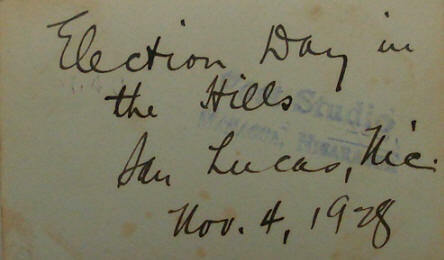 "Election Day in the Hills, San Lucas, Nic. Nov. 4, 1928" A very big day, in fact, on which turned much of the political violence of the preceding 18 months, with this place as one of its epicenters. One can count at least 50 people in the voting queue, and a handful of Marines (or native Guardia or officials) outside the line, but the image is too underexposed to see much more. The village of San Lucas near Somoto was & is a fascinating place, with its long & convoluted history of political violence, indigenous struggle, and borderlands-related conflicts. Photo MCRC-2.4. 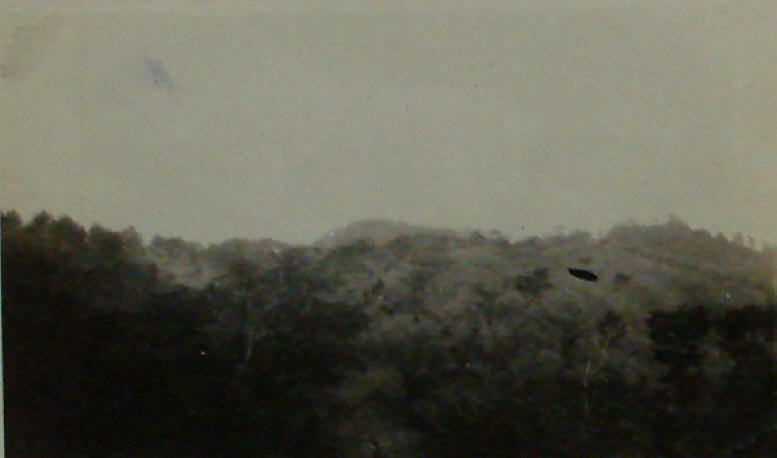 Grave Markers of Two Marines, Somoto, Nicaragua, 1928. "Somoto, Nicaragua. 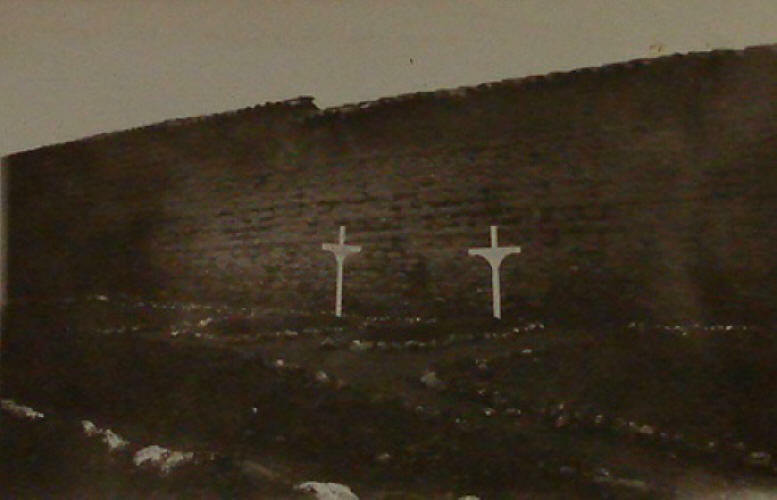 Graves of two Marines killed in action, one Dec. 1927; one Feb. 1928. --- " One must be the grave of Private Bernard F. Calloway of the 49th Battalion, 5th Regiment, killed near Macuelizo on December 18, 1927, as described in Lt. Martin's report -- PC 27.12.18 -- and as listed in the Official List of Casualties in USMC-DOCS (the only other Marines killed in action in December 1927 were killed near Quilalí in Major Floyd's El Chipote offensive). The grave for the Marine killed in action in February 1928 might be that of Private John C. Pump, or Private George E. Robbins, or Private Albert Schlauch, all three of the 57th Battalion of the 11th Regiment, and all three killed in the famous Battle of El Bramadero: PC 28.03.01. Photo MCRC-2.5. 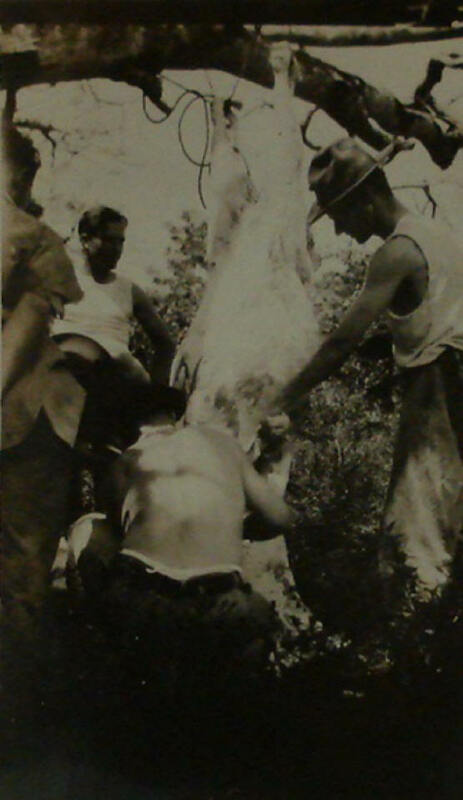 Marines butchering a calf in the field. No caption, no date. The question of what soldiers eat opens up the bigger question of how states pay for war, the answers to which varied & on which hinged many of the dynamics of this entire period. Did the four leathernecks pictured here buy this calf? Probably, though it's impossible to know in this case, since the Marines both purchased & stole food from natives depending on a host of variables. This must have been a very common sight. Photo MCRC-2.6. 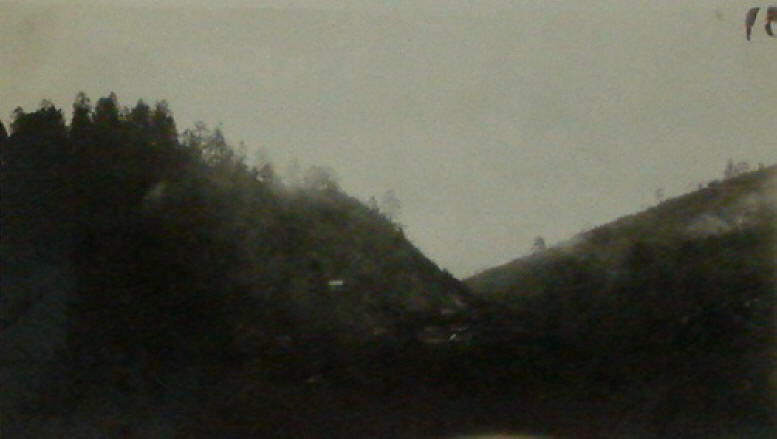 Segovian mountains draped in fog. No caption, no date. 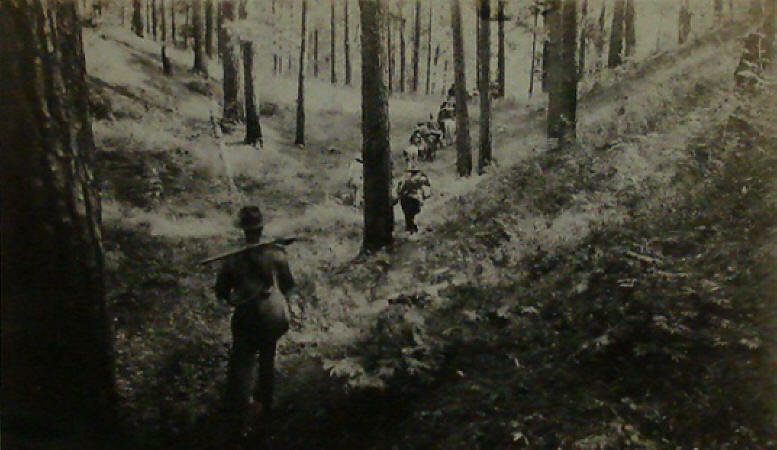 An evocative image. Photo MCRC-2.7. Segovian valley shrouded in fog. 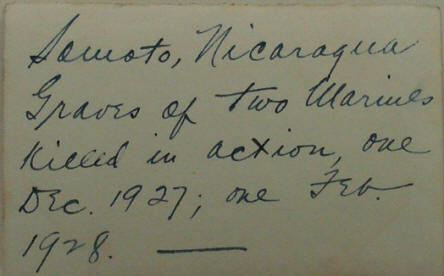 No caption, no date, as in the series that follows, from sometime in 1928 around Somoto-San Lucas. 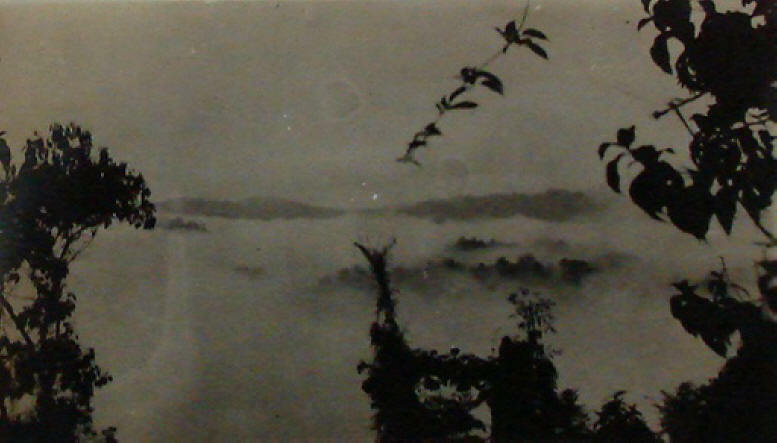 What looks like a fog-shrouded valley from a mountain trail. Photo MCRC-2.8. 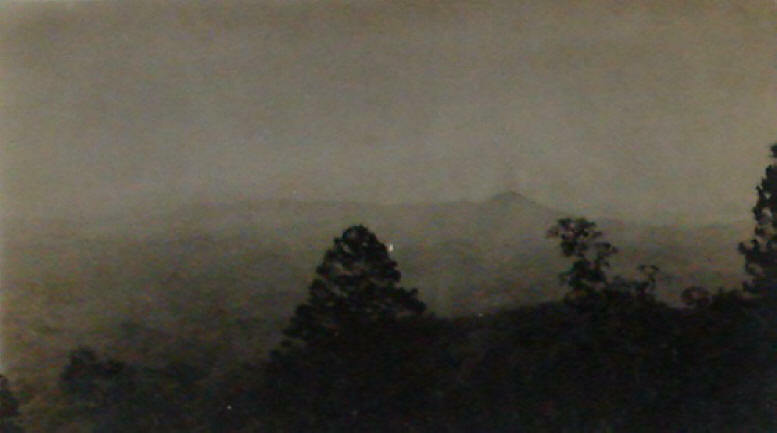 Segovian mountains in fog. Photo MCRC-2.9. 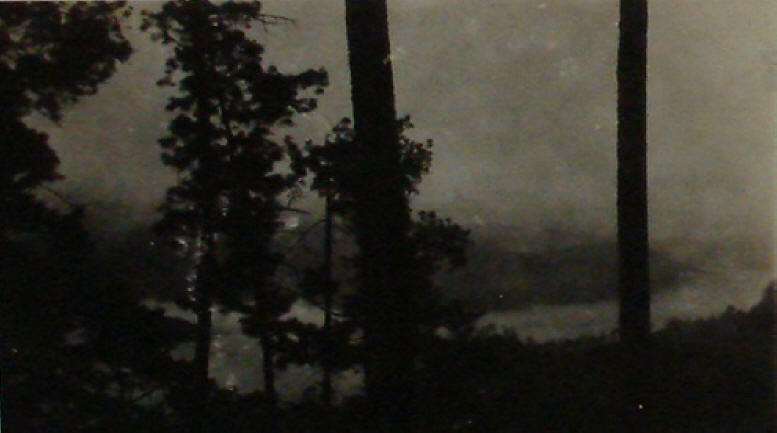 Fog enshrouded Segovian mountains. Photo MCRC-2.12. 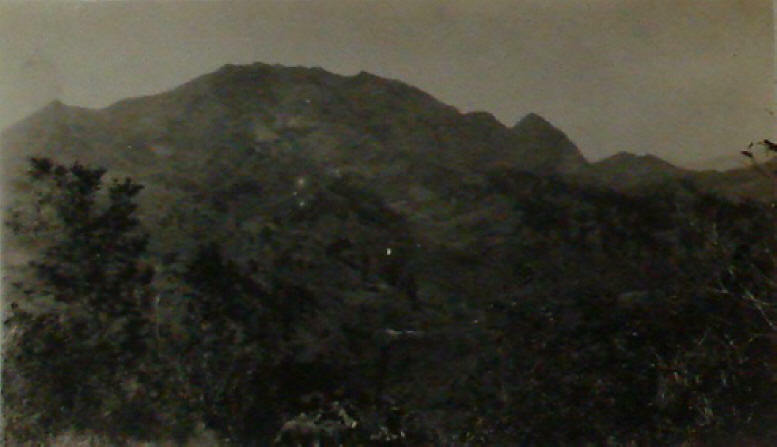 Segovian mountains with patrol in foreground. Photo MCRC-2.14. 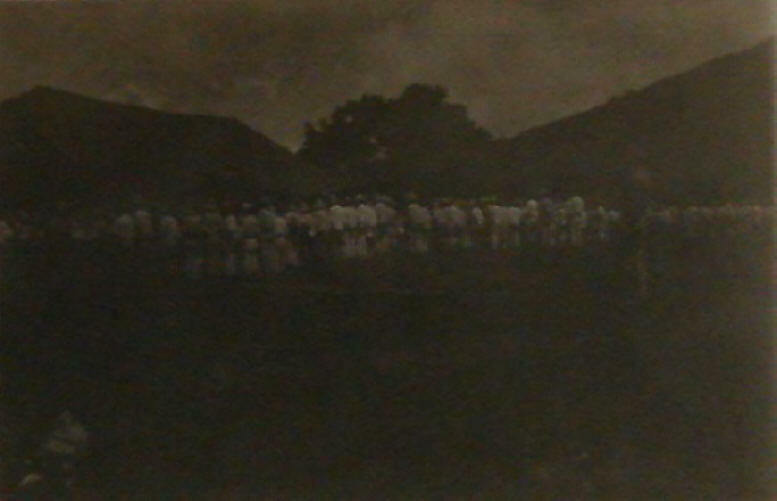 Volunteer forces between Santa María and Yucatál, Nicaragua. 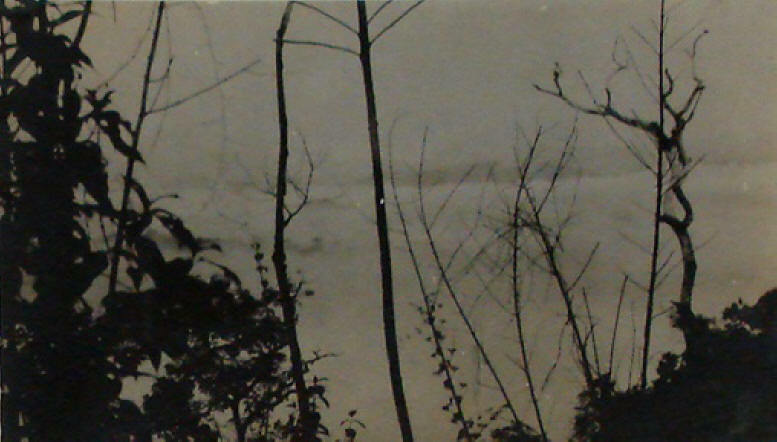 The same photo published elsewhere, captioned with the title above. Photo MCRC-2.15. 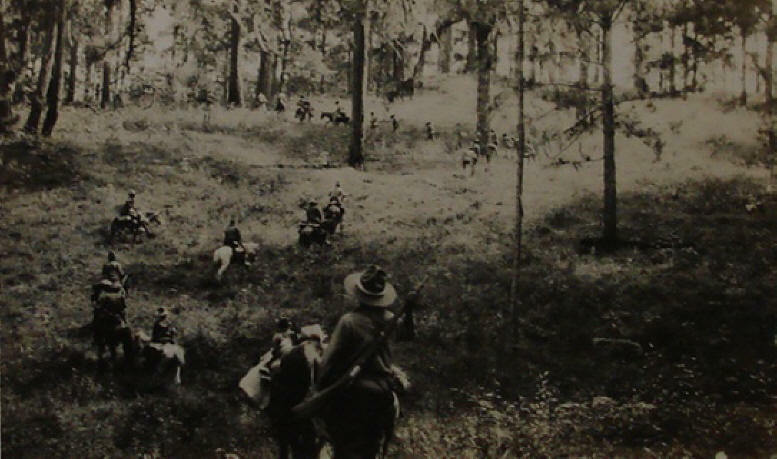 Volunteer forces between Santa María and Yucatál. Clearly taken the same day & in the same area as the photo above.